Legislation that I introduced -- which would withhold ballot access in Connecticut for any candidate for President of the United States who does not release his or her federal and state tax returns from the previous five years -- has been scheduled for a public hearing. “An Act Concerning Disclosure of Presidential Candidates’ Federal Tax Returns” will be having a Public Hearing in the Government Administration and Elections (GAE) Committee next Wednesday, February 22nd, at 10am in Room 2E of the Legislative Office Building, 300 Capitol Avenue in Hartford. The bill is now HB 6575 -- please refer to that number if you want to support this bill. You can do so either in writing by e-mail to GAEtestimony@cga.ct.gov, or testifying in person. This helpful link provides instructions on how to present testimony before the General Assembly – please contact my office if you need any assistance. 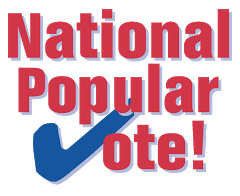 I also wanted to let you know about another bill I co-introduced, HB 5434, "An Act Adopting the Interstate Compact to Elect the President of the United States by National Popular Vote" which will also be heard at the same public hearing on Wednesday. I wanted to thank all of you who took the time to write in support of these bills. Your efforts helped in getting a public hearing for HB 6575 and HB 5434.